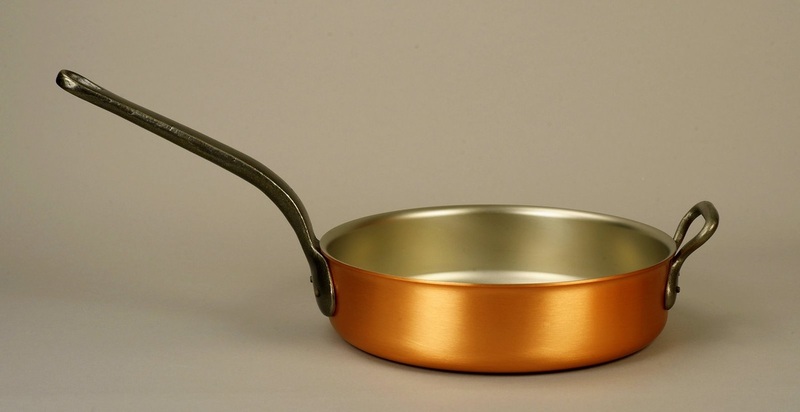 The saute pan is an extremely versatile, beautiful copper pan that can be used to fry, saute, braise and simmer. It is ideal for reducing / simmering, to create fantastically rich pasta sauces. 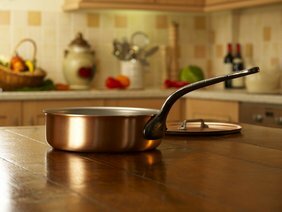 Also for creating risottos, for steaming shellfish and braising meat and vegetables. Ergonomic, everlasting, cast iron handles.